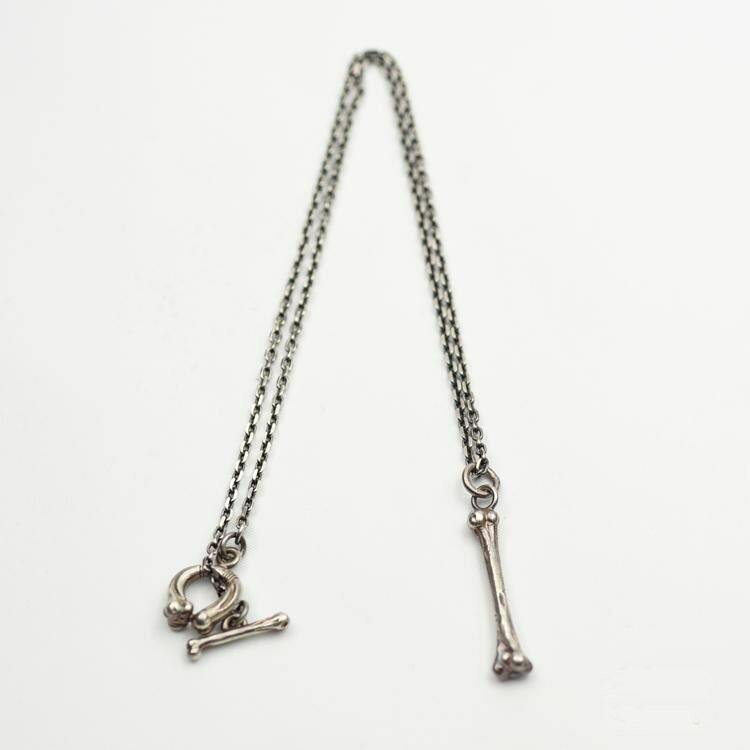 If you are a fan of skeleton necklaces or morbid jewelry, you will definitely like this simple silver chain. 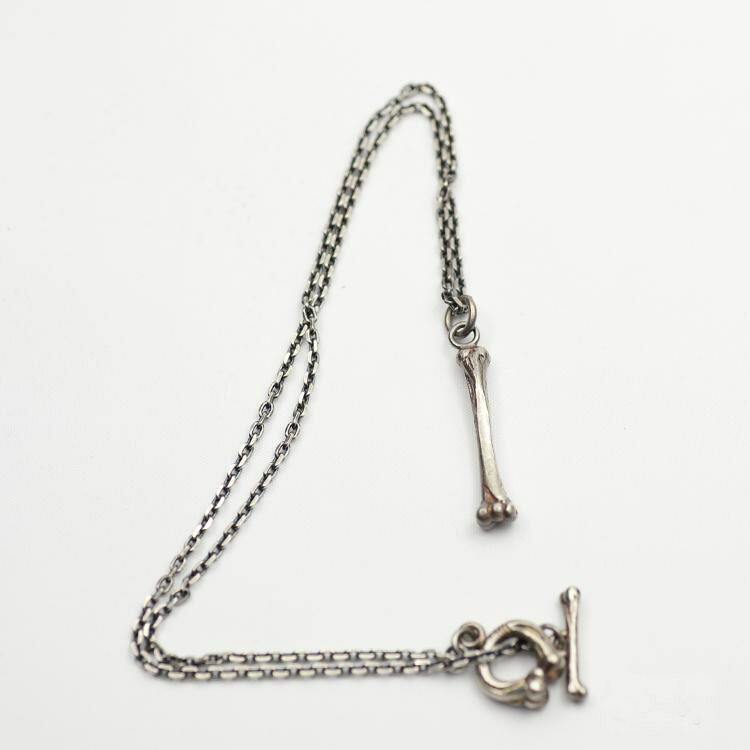 The thin silver chain itself is delightfully minimalist - except for the bone-themed toggle closure clasp. It is a set of two silver bones - one curved into a ring, and the other acts as the bar for the closure. This necklace comes with a single silver bone pendant that adds a bit of zing to the plain silver chain. 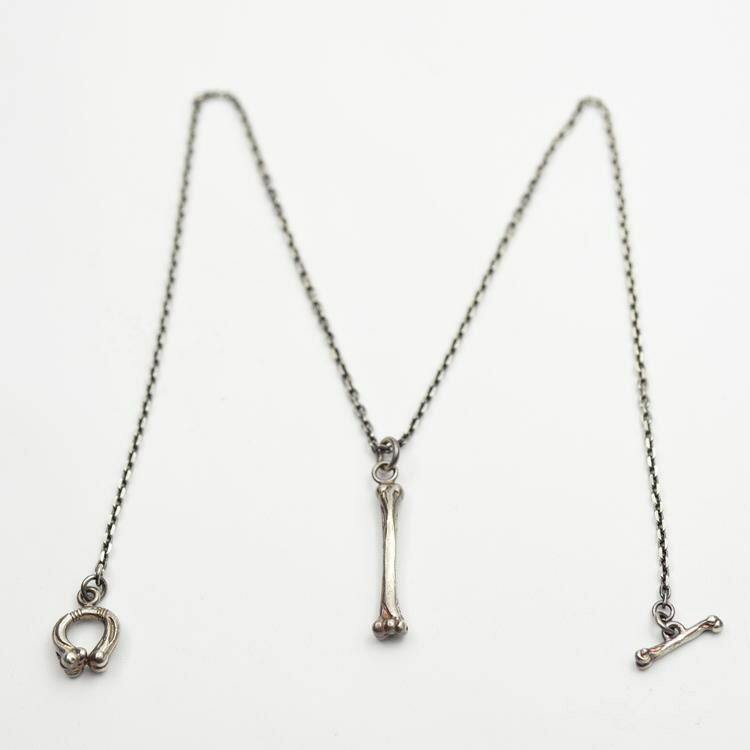 If you want to add a different bone pendant to the necklace - you can always make a custom order. 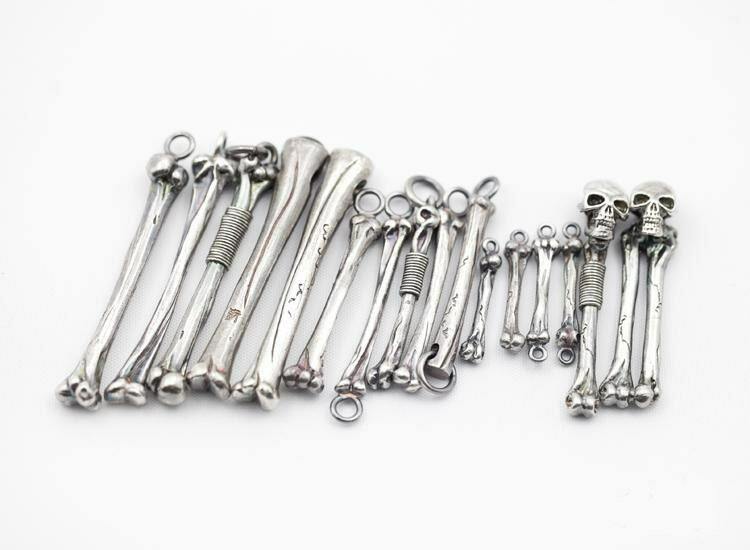 Refer to the last image above to see the other bone pendant designs that we offer. FYI: The Necklace shown in the picture is 50cm/19.7inch. 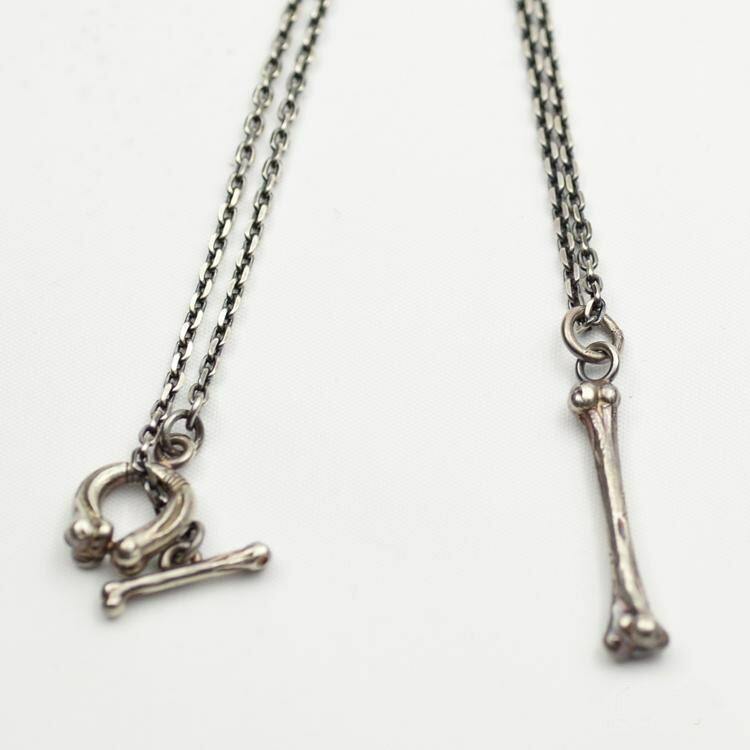 The skeleton necklace is available in two finishes - the original, shiny silver finish, and an oxidized, vintage finish.